The Arctic once again attracts the eye. Moreover, unfriendly looks is becoming more and more. So, one of the main topics of the V International Arctic Forum, which started on April 9 in St. Petersburg, was mining. This means that no one will undertake to exclude in the near future a real war for the Arctic resources. In this case, Russia, which is strongly opposed to the “cutting” of the Arctic for the sake of a handful of fossils, becomes a hindrance. “MK” understood who and what could threaten us in the Arctic. For many, this “mouse fuss” around the Arctic is understood as “two or two”: the Northern Sea Route and practically bottomless hydrocarbon reserves. The first reason greatly hinders, above all, the UK. The opening of the Northern Sea Route for regular commercial traffic from the Pacific region to Europe is for them a “bone in the throat”. England moved quickly from plans to business — as early as the beginning of October 2018, 800 British commandos arrived in Norway. They were reinforced with tracked armored vehicles “Viking” and anti-submarine aircraft “Poseidon”. As it turned out, this is the first “swallow” from the British Isles – in 2019, the head of the military department of England Gavin Williamson promised to open a full-fledged military base in Norway. Estimated number – up to three thousand people. Information about the arrival of the armed British Defense Minister of Norway Frank Bakke-Jensen confirmed. The truth from the construction of the English outpost in the Arctic region, he immediately disown. “This does not mean that we will create our own military base for the British in the North,” said a military official. According to him, this British expansion is consistent with Norway’s long-term defense development strategy. However, while Britain, except for driving its commandos to the icy shores, is powerless to do anything. In the so-called Arctic Club, which includes Russia, the United States, Norway, Finland, Canada, Sweden, Denmark and Iceland, it has only an observer position. From year to year the United States and their Canadian friends are increasingly looking to the snow-covered fields of the Arctic. For them, this is not only a chest with precious minerals, but also an excellent base for striking a “sworn” partner – Russia. – In the West, they understand the geopolitical and military significance of the Arctic – this is the shortest direction for a strike on our country by the United States. The routes of the strategic bombers of the US Air Force lie across the Arctic, ”explains the Chairman of the Presidium of the“ Officers of Russia ”, Hero of Russia Sergey Lipova. – a strike is likely on those objects where strategic resources are located: Norilsk, Salekhard, Dikson, oil and gas infrastructure. At the same time, the expert doubts the determination of the US forces and their NATO allies to strike. 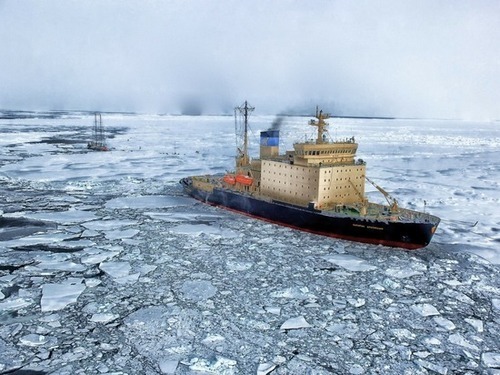 According to Sergey Lipovoy, the Arctic search stations, military aviation, ports and airfields, air defense stations and, of course, the nuclear icebreaking fleet are too formidable for them, promising great losses. In addition, as the experts say “MK”, ​​the Alliance does not yet have the aircraft to work in extremely low temperatures. Yes, and the Arctic ships they have not. Nevertheless, the “star-striped” gendarme and their satellites continue to prepare for the victorious Arctic campaign. So, last year, the “hawks” of the Pentagon drove to Norway replenishment. With the tacit consent of the Norwegian Ministry of Defense, the number of fur seals in the country will increase from 330 to 700 bayonets. An important point – the more than doubled US special forces group moved from Trondheim closer to the Russian border. Now the Stars and Stripes will be settled in the Arctic Norwegian province of Troms, which is only 500 kilometers from Russia. As explained by the “MK” military expert Alexei Leonkov , these maneuvers of the United States have one goal – to adapt their special forces as best as possible to the harsh conditions of the Arctic and the Arctic. – It is not excluded that they will subsequently bring there some kind of light armor and artillery. So they, it seems to me, create some kind of operational-tactical grouping near our Arctic borders. What for? To try to resist the legitimate expansion of Russia’s influence on the Arctic belt, the expert concludes. And that’s not counting the army of local “natives” Norwegian. What will happen in situations of extreme military tension while non-aligned Sweden and Finland? “They, most likely, will observe neutrality,” says the Chairman of the Presidium of “OFFICERS of RUSSIA”, Hero of Russia Sergey Lipova . – At the same time, they may well provide their territory and resources, as it was during the Second World War. The expert recalls that Finland, despite its territorial claims, did not enter the war with the USSR. At the same time, it provided its territory, bases and airfields for the German troops. And only then, when the Red Army suffered defeat after defeat, she herself attacked the Soviet Union. – Theoretically, the situation may repeat, especially since the Finns have territorial claims against Russia, – continues Sergey Lipovy. – However, I emphasize, this is only a theory. There is no military resources for serious pressure on Russia in the Arctic! Meanwhile, not only the West wants to claim a large Arctic piece. Hidden in the thick of snow and ice, resources have been attracting Asian countries for decades. They are already striving to include Arctic issues in their interests. Claims for participation in solving the problems of the region are claimed by China, India, Indonesia, Malaysia, and even Australia. Therefore, the Arctic will continue to remain gradually warming region. And not just because of global warming.